Madora Consulting, one of the leading international Oracle licensing specialists, has announced today that it has completed the next phase of its internal Oracle Licensing Toolkit with the addition of Fusion Middleware. The toolkit already covers E-Business Suite, Database and options. 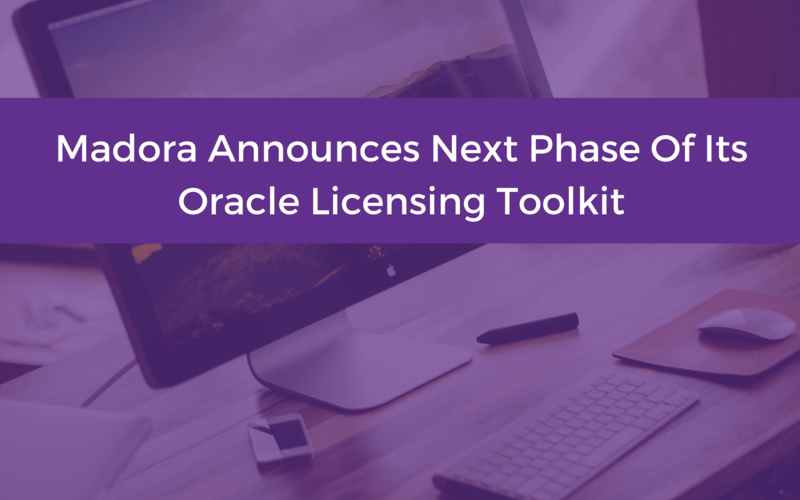 ​The Madora Oracle Licensing Toolkit has been designed and built in-house to complement Madora's well proven Oracle licensing review process, as part of their continuous improvement programme. The combination of Madora's extensive Oracle licensing expertise, their well proven process and their continuous improvement programme has been key in providing their clients with consistent licensing and risk management advice. This consistency and the repeatability of usage results has been well received, especially by clients who are implementing software asset management and require regular comparative results to manage and control their IT spend. ​On a separate note Madora will be presenting the upcoming Oracle License Management event on the 11th of October at 110 Rochester Row, London. ​Be sure to see the event full agenda and if you're interested you can register your attendance here.